Graduate studies within any single scientific discipline are challenging endeavors on their own. But imagine combining graduate school-level training in physics and mathematics with advanced research in engineering and biology. That’s the challenge of a new graduate program at UC San Diego that’s teaching Ph.D. students how to combine the power of physics and math-based reasoning with practical engineering skills and biology in an effort to unravel the fundamental principles of living systems—principles that will likely encompass concepts reaching well beyond those of traditional biology. According to a recent National Academy of Sciences report, advances in quantitative biology are critically important in order for our nation to continue to make future progress in medicine, genetics and the life sciences. UC San Diego’s innovative qBio doctoral program launched last fall with an initial class of 10 graduate students, followed by another 10 students this fall. 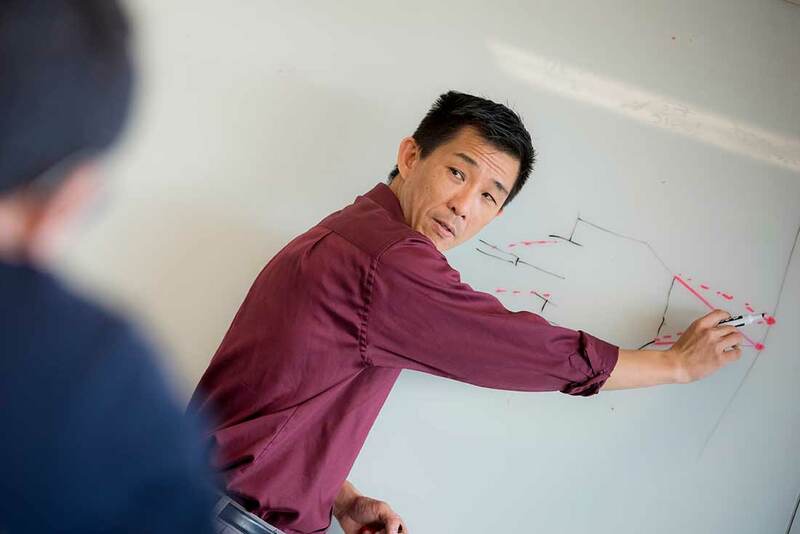 The program is the central feature of the campus-wide quantitative biology initiative, which involves more than 30 faculty members from biology, chemistry, engineering, mathematics, physics, and the UC San Diego School of Medicine. Co-directed by Hwa and Hasty, the campus-wide program is one of a number of new forward-thinking research initiatives at UC San Diego designed to make the university a world leader in key areas of future importance to society. 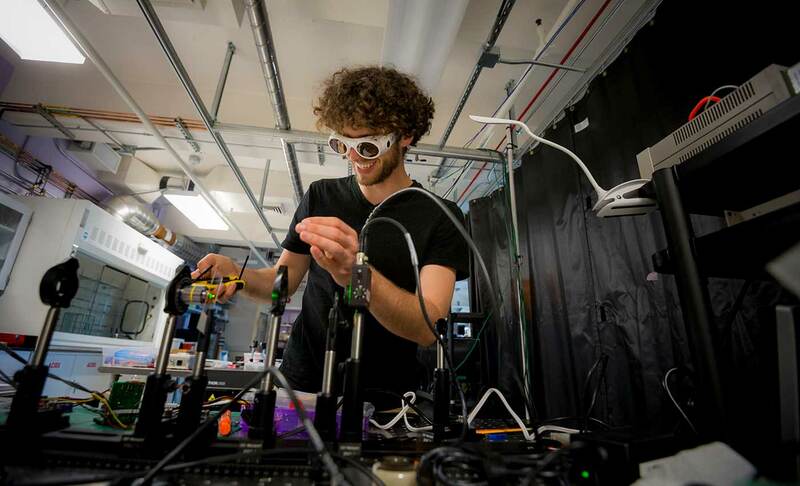 While a number of other campuses across the country have recently initiated quantitative biology research and teaching programs, UC San Diego’s qBio graduate program is unique in one important way: Graduate students spend a year in the program’s “Hacker Lab” on the 6th floor of Urey Hall. There they take apart sophisticated microscopes and other state-of-the-art research equipment and put them back together in novel ways. This hands-on “hacker” experience provides them with the engineering skills to modify instrumentation in a way that permits them to solve research problems that can’t be addressed with off-the-shelf equipment. 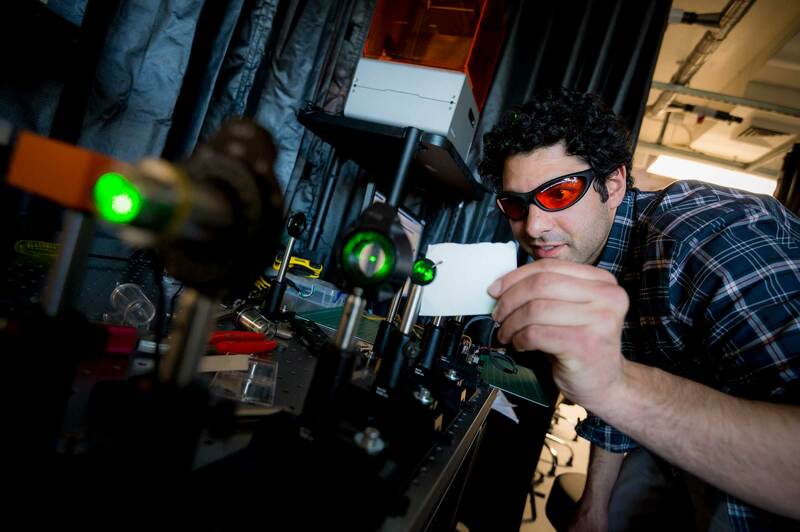 Within the Hacker Lab, which is being operated and taught by biophysicist Philbert Tsai, the graduate students initially learn about skills such as basic computer-to-hardware interfacing, 3-D printing and design, microfluidic devices and state-of-the-art microscope technology. They then apply that knowledge to modify and build instruments in quarter-long projects of their design that allows them to view biological processes that can’t be seen by standard instruments or requires them to overcome some other limitation of existing instrumentation. It’s a requirement that fits with the tradition of UC San Diego: Graduating students who not only think differently, but have the skills to push the envelope of their fields in non-traditional ways by taking things or ideas apart and putting them back together in novel ways.